Is the Ford C-Max a good first car? A recent graduation, a first-time driver’s license, new to the country – there are many reasons to buy your first car. But the waters are deep and narrowing down all the choices to just one is no easy feat. For your first car, you’re going to want something that is fantastic on fuel, is easy to drive, has enough space and definitely is a Ford. In Southern California, you should take a look at the Ford C-Max for your first car, and here are a few reasons why. The Ford C-Max Hybrid has fantastic fuel economy from its 2.0-liter Atkinson-cycle I4 engine, combined with a 1.4-kWh lithium-ion battery. It has an EPA-estimated fuel efficiency of up 42 mpg city and 38 mpg highway. * Along with regenerative braking and Ford’s SmartGauge with EcoGuide, you have help getting the best fuel efficiency out of the Ford C-Max. And if a pre-owned Ford is in the cards, check out the C-Max Energi. 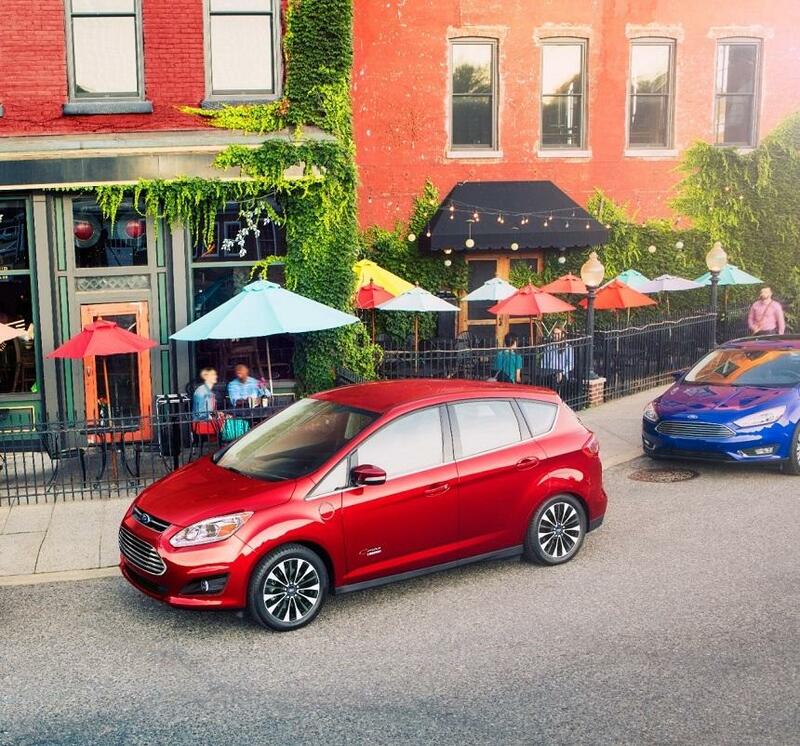 As a plug-in electric vehicle, the C-Max Energi can go even further without refueling on gas. You’ll be headed places all over Southern California, and you’ll need space for your friends, family, and your stuff. The Ford C-Max maximizes its small footprint for passengers and cargo. Comfortably seat up to five people in the cabin with best-in-class passenger volume and you’ll still have up to 24.5 cu. ft. of cargo room. Or, fold down the rear-seat and you’ll have space for up to 52.6 cu. ft. of school books, moving boxes, sports equipment, or luggage. You should always keep your hands on the steering wheel, whether it’s your first car or not. 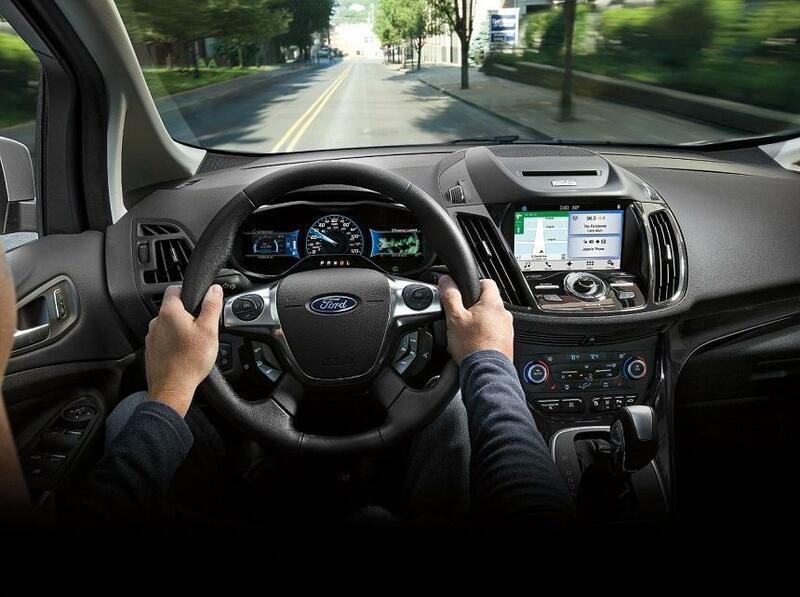 Ford makes that more convenient than ever with available SYNC 3 in the Ford C-Max Hybrid. It has intuitive voice-activated technology for an extremely smooth use. SYNC 3 is compatible with Apple CarPlay and Android Auto, keeping you connected while you’re in your car. Connect to SYNC 3 Applink for access to Alexa too. It opens-up possibilities like Voice Navigation, Traffic Information, and even Amazon Prime shopping, all from the driver’s seat. Don’t you want to show off in your first car? Of course, you do, and that’s easy when it looks as good as the Ford C-Max. The sleek four-door hatchback design is attractive as much as it’s functional, combining the easy driving nature of a small passenger car with the stance and space of a small SUV. Inside the C-Max Hybrid, it’s just as stylish. Ambient LED lighting, leather seating, a panoramic sunroof, and a stunning array of controls in the center console give the Ford C-Max the appeal you want when you’re picking up friends and family for the first time. It’s a highly-efficient, great-looking, and extremely functional small hybrid vehicle, and it’s made by Ford. The Ford C-Max Hybrid can be your first car, and it’s available at your local Southern California Ford dealers.